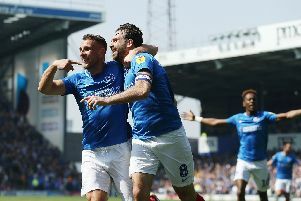 Lee Holmes is the latest of Pompey’s loan players to return to his parent club. The Preston winger made five appearances after arriving in November, making his debut as a substitute in the 3-1 loss at Tranmere. But with his loan due to expire on January 3, boss Andy Awford has decided against extending his stay. With Awford keen to freshen the squad in time for the next game against Newport County on January 10, Holmes has departed alongside Alex Wynter and Matt Fish, who were also deemed surplus to requirements recently. Decisions have not yet been made public on the future of fellow loanees Paul Robinson, Miles Storey and Marcus Bean.